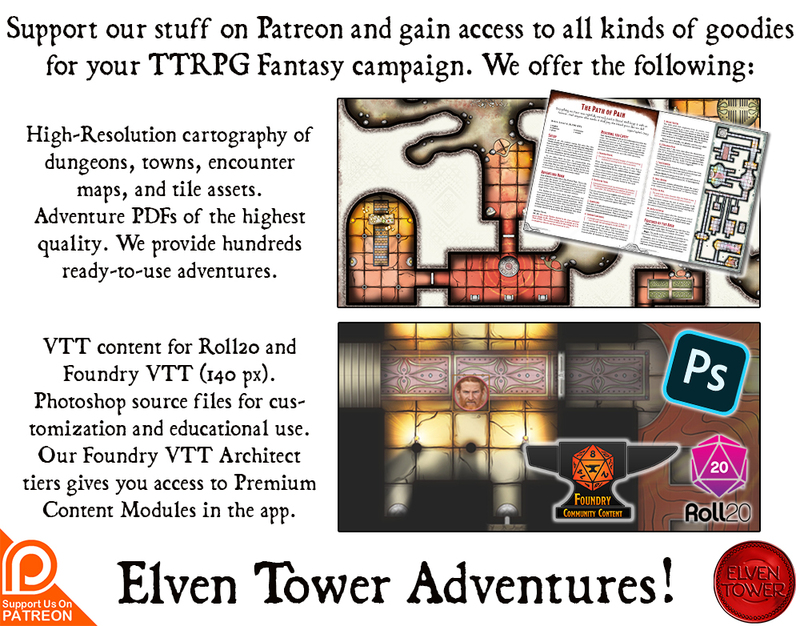 It has been a really long time since I created a One-Page-Dungeon. That one is here. I came up with the idea of doing one-page-dungeons once or twice a month and have them be in a parallel numbered series, this would be number 2. 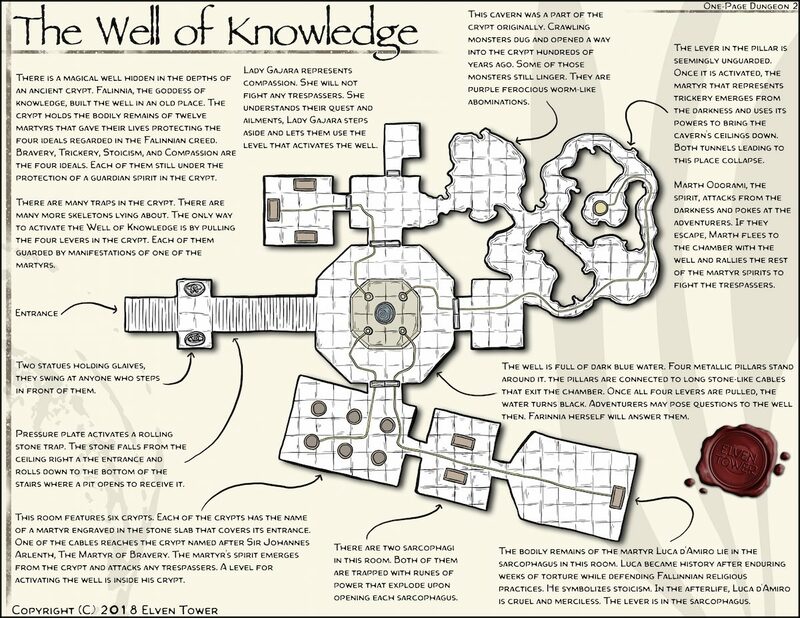 These illustrations are self-contained dungeon crawl ideas with map, lore, and description. Let me know what you think of stuff like this. I’ve gotten many requests for one-page adventures for a while. You can download the HD version of this illustration in my Patreon page. This illustration is available to all.